Grill size is one of the most important aspects to consider before buying one. The best grill for you will depend on how many people you intend to cook for on one particular event or even regularly. A grill designed for use by a family of five may not cut it when you have more than 10 mouths to feed. And if it does, it wouldn’t be efficient and convenient. Even though not always the case, smaller gas grills tend to be cheaper than their larger similar brand grills. Size is also important as far as cooking space is concerned. Choose a gas grill that will fit well in the space you want to put it. Gas grills come in a wide variety of designs. Some come combined as grill and griddle. Some are designed for placement on top of a raised surface or table, whereas others feature standalone designs. There are some portable lightweight models too, which can be quite convenient for use outdoors like when going camping or if you intend to BBQ in a distant place. As for grill burners, be sure to choose a model whose grill burners are at least 12,000 BTUs. As noted above, prices will vary depending on the model and the brand, as well as the gas grill features. However, be wary of products that cost extremely low. Also, expensive doesn’t always mean superior quality. This brings us to the next highly important point; gas grill reviews. Thanks to the World Wide Web, it is now more than ever, easy to find the best of something online. In addition to customer testimonials and reviews from consumers of particular products, the internet is plentiful with professional reviews that can help narrow your options down to help you get that gas grill that you’ve been yearning for without having to break the bank. 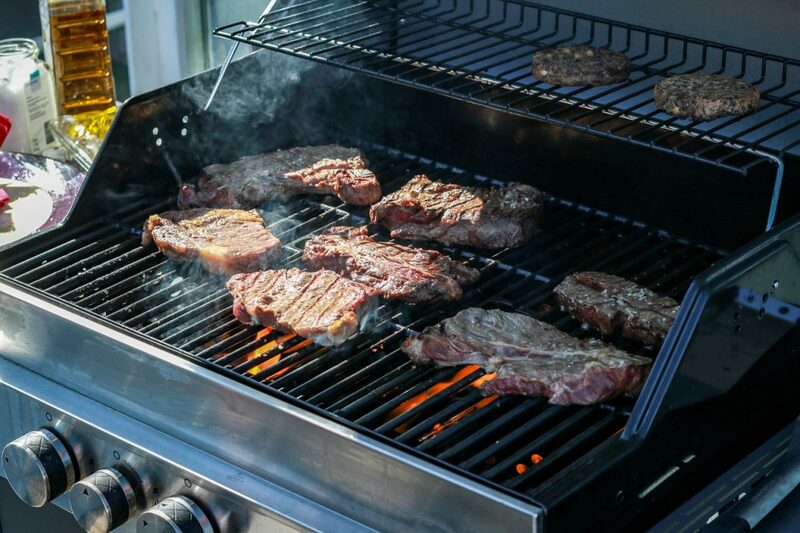 The Best Gas Grills Reviews for 2018 – A Buyer’s Guide, for instance, can get you informed and prepared to ensure you approach your purchase confidently and comfortably knowing exactly what to look and what not to look for. With the above tips at your fingertips and in the back of your mind, finding the best gas grill on a budget will most likely be easier for you. However, be sure to compare and contrast the available vendor, considering things such as warranty, shipping, and returns policy, just to be on the safe side of things. And remember, you don’t want to fall victim to internet scams, so you’ll want to research your potential vendors carefully. Thanks for sharing those tips. There are very useful.